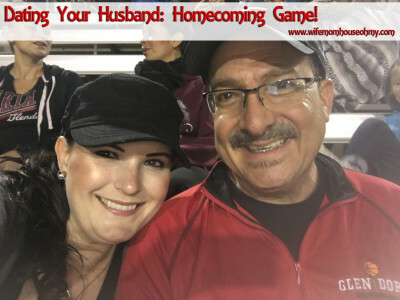 Dating Your Husband: Homecoming Game! One of the things my hubby and I have been trying to do is date night on a budget. It is absolutely possible to enjoy each other’s time out and on the low end of the dollar spectrum. 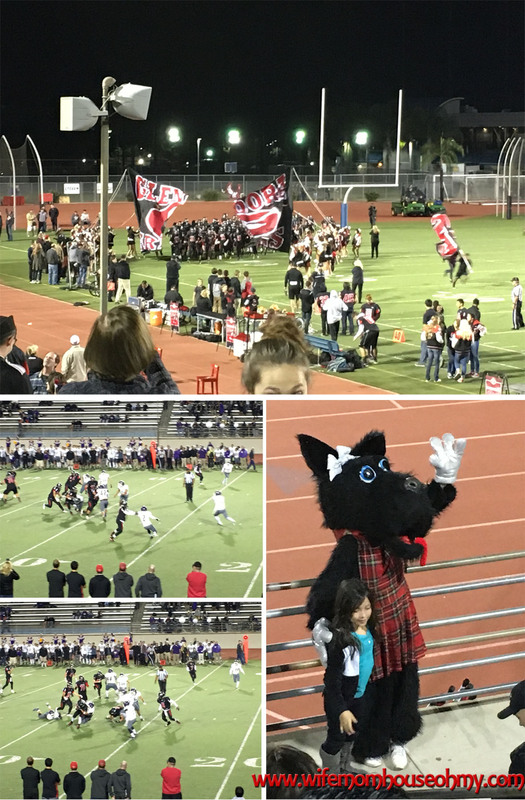 I have found that for many, a high school football game doesn’t cross their mind for a date night. In fact, unless there are kids involved, i.e. they attend the school, then high school sports isn’t up there on date night to dos for most. Which is too bad. 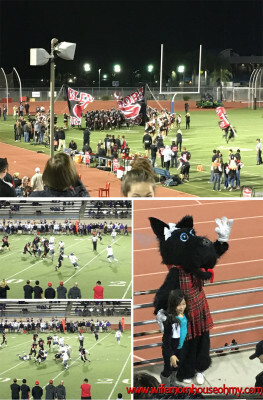 Recently, our son’s high school had its Homecoming game. My stepson does not play football so going was by no means an obligation. But it was fun! We grabbed our snacks, our cushioned seats (voice of experience, after many a long basketball game sitting on high school stadium bleachers when my stepson played basketball, a cushion is a must), and layers of jackets and blankets. Bought our two $7 tickets and were entertained for a solid two plus hours as we watched the home team cream the opponents. Besides getting to cuddle to stay warm, there was the camaraderie that came with cheering for the home team with our “bench mates” who were equally as bundled and chilly as us. It felt good supporting the local school and community and the best part (well besides being on a date with my husband) is that it didn’t break the bank. Personally, I loved watching the sideline kick off that resulted in a touchdown and I gotta say cheering for the small drive pass that turned into a 74 yard running touchdown wasn’t half bad either. Plus a Somewhere Over the Rainbow crowning of the homecoming queen at halftime made for some interesting sights. It was definitely a first seeing Dorothy, the Scarecrow, Tin Man and Cowardly Lion at a football game, that’s for sure! So if you are looking to save a few bucks, and happen to enjoy sports, perhaps check your local city’s high school sport schedule and take in a game or two. Odds are you will only pay $5 to maybe $7 per ticket and will definitely have some lively entertainment!